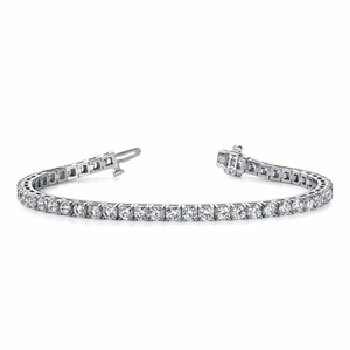 14KT Diamond Straight Link Bracelet, 5 Ct. T.W. 14KT Champagne and White Diamond Bracelet, 2 1/2 Ct. T.W. 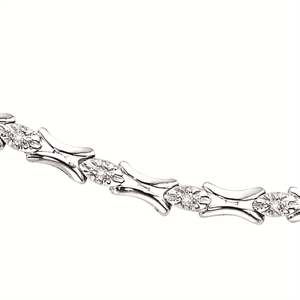 Sterling silver, X-link bracelet, 1/4 Ct. T.W. 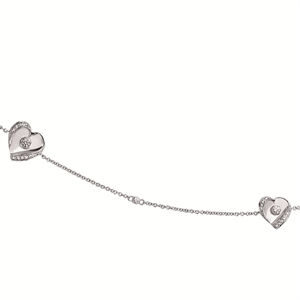 Sterling Silver Round Diamond Heart Bracelet, 1/4 Ct. T.W. 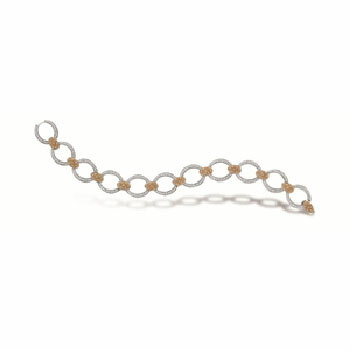 14KT Baguette and Round Diamond Bracelet, 1/3 Ct. T.W.